“E-A-T” stands for “Expertise, Authoritativeness, and Trustworthiness.” For Google to consider your page high quality, these aspects should be reflected throughout your website. What exactly, do they mean and do? 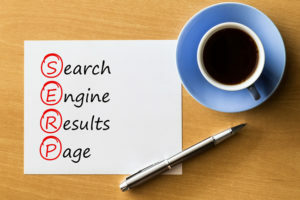 What Is Expertise In SEO? It is vital to establish yourself on your web pages as an expert in your field. This is especially true for sites that deal with medicine, law, or finance. Enumerate all the relevant credentials to your business (e.g. degrees, accreditations, certifications, and licenses) and to provide readers with useful and reliable content. What Is Authoritativeness In SEO? Build authority. When people recognise you as an expert in your niche or business sector, you naturally gain authority. By generating well-researched content with proper citations and backlinks, you help manage and enhance your reputation. Factors influencing reputation include reviews, site popularity, and user engagement. What Is Trustworthiness In SEO? A trustworthy site is one that is secure and ensures user safety at all times. (Read our blog on SSL Certificates). This is of importance for websites that ask consumers for personal and financial information. Your clients should feel safe when divulging personal details on your site. Content should also prioritise helping visitors while promoting quality user experience. How To Develop Your E-A-T Strategy? Highlight your competitive advantage; share your specialty and expertise. If you are a dentist, mention whether you specialise in child dentistry or dentures. If you are a local plumber, comment on that you have insurance and accreditations. In addition to reading the bio (about us) on your webpage, people conduct their due diligence by reading social media posts and reviews. Having your information on these platforms humanises the business and makes it easier for consumers to connect and engage. How To Create Useful And Reliable Content? Create content that has tremendous value. Do not write only for the sake of search engine optimization (SEO) and Google. Take time to create well-researched content that amplifies your website and engages readers. Make the writing style as natural as possible with your customers and end-consumers in mind. Write guides or how-to’s linked to studies and supported by infographics. Post them online, in your social media, and other platforms so people can comment and share. 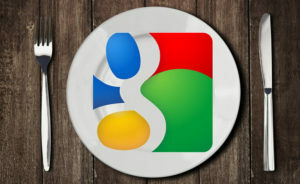 E-A-T is important for both your target audience and the Google ranking SERPs. It makes your business website a reliable source of information, products, and services. E-A-T is not only for large companies or chains. Focus on the local business landscape and determine how your business stands apart from the nearby competition. How does a local service provider compete against large grocery chains and big-box stores that offer similar products? Answer: Their specialty. Small-scale business can be regarded as experts in their field. This is the competitive advantage of a local business: It has owners and employees who are trained and take time to answer questions. How your serve the consumer defines you — whether you sell cheese, meat, or run a plumbing business. Want a website that is built with mobile first as a priority, that is optimised to keywords and adheres to Google’s E-A-T guidelines? 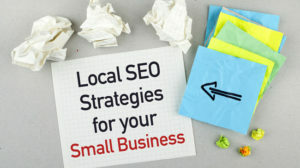 Promote your local business with Search4Local website design.